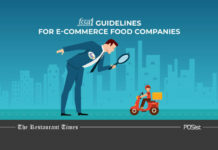 When everything is becoming digitized, why would you keep your restaurant lagging behind? 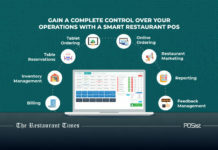 The easiest way to automate and digitize your restaurant operations is by merely implementing a POS at your restaurant. 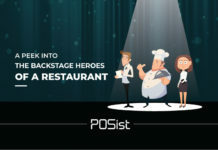 Now, all the newcomers in the industry might not know what is a restaurant POS system is and how can it be beneficial for your restaurant. 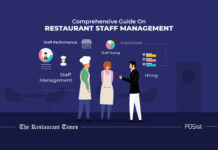 In this article, we talk about what exactly is a restaurant POS software and how it provides end-to-end management of your restaurant. A restaurant POS software is a point of sale system that processes the transactions that happen at a restaurant. Initially, a traditional point of sale was just a restaurant billing software that accepted orders and generated a receipt. 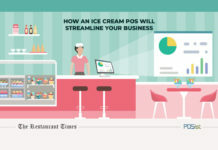 However, with the advent of cloud technology, the humble POS system evolved to become a complete restaurant management system. Armed with Stock & Inventory Management, Smart Reporting & Analytics, Customer Relationship Management and more, a restaurant POS reduces manual labor and simplifies operations. 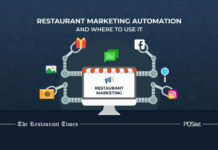 Add to this integrations with the various third-party applications such as Online Ordering, E-wallets, Table Reservations, Loyalty Programs, etc., and the restaurant POS becomes an end-to-end solution for restaurant management. The cloud-based restaurant POS software works both online and offline; hence even if your internet is not working, your POS will ensure that your restaurant operations never stop. Let us look at the various ways a restaurant POS solves the daily challenges of restaurant operations and management. Billing is one of the most critical operations in a restaurant. Apart from the simple billing, multiple other things can improve the processes and enhance the customer experience. Your restaurant POS system must allow both the customers and the servers to view the entire menu on the tablet. Such a table billing feature will reduce the manual labor involved and also increase customer delight. A smart restaurant POS also allows split billing when demanded by your customers. Orders from all the delivery platforms will be pushed directly into the POS. 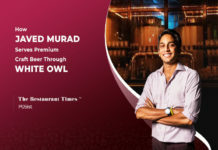 This eliminates the need to manually add the orders received from the various online ordering channels. Along with the orders, come the customer details that can be directly added to your CRM database. Not having a keen eye on your stock and inventory section can be one of the biggest blunders that you are making. Over-ordering or under-ordering, both can be disastrous for your restaurant. Hence, while selecting a restaurant POS, make sure that it allows you to have tight control on this section which can be a source of your constant worry. A smart restaurant POS system with an integrated Inventory Management System sends you an alert whenever any stock item reaches its re-order level. This not only ensures that you never order while that item is still in stock, but it also ensures that your kitchen never runs out of stock. Your POS will help you to avoid any inventory management mistakes that you might otherwise unknowingly commit. A right restaurant POS allows you to tally the physical stock and the ideal stock, that automatically reduces the scope of any discrepancy when it comes to inventory. Recipe management is an integral feature of Inventory Management as it keeps track of the amount of stock consumed while preparing each dish. Integrated with the POS, this feature gives you detailed accounts of the amount of actual stock consumed. In case you have multiple outlets and a single base kitchen, your POS must have a Central Kitchen Module to ensure proper circulation of raw materials and semi-processed items to the various outlets. With the help of your restaurant POS, you can centrally manage your complete customer database. In the case of multiple outlets, you can have a central database of customers and segment the customers based on their geography, ordering behavior and history. 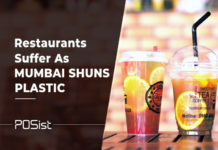 Once you have the entire customer details, you can very quickly send customized SMS and emails informing your customers about the new happenings at your restaurant, like, hosting events, providing offers and discounts. Loyalty programs are a great way to increase customer retention. Integrated with the CRM, you can run customized Loyalty Programs and target customers better. You will receive a detailed account of all the sales report across all your outlets. You will even receive a comparison of sales reports across all your outlets. Once you are assured that you will be able to receive all the information of all your outlets right at one place, your apprehension regarding how you will go about managing various outlets all at once will automatically be resolved. Many a time you might be unable to visit your restaurant physically. However, this doesn’t mean that you have to be dependant on your restaurant manager for the sales reports. Your restaurant POS system will provide you with real-time reports, which will ensure that you are always well aware of your restaurant operations. A cloud-based restaurant POS system can be competent enough in providing you detailed reports and accounts of all the operations that are happening at your restaurant across all your outlets. You as a restaurant owner will be able to customize reports as per your convenience and even view graphical reports. You will receive all these reports right on your mobile. 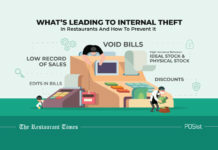 It is well known that in reality, the restaurant sector is a primary victim of internal thefts and pilferage. Since your restaurant POS will be providing you real-time reports of all the sales, the number of bills generated, stock available, the items sold, it will immensely reduce the scope of theft and your dependency on your managers. You will be able to single-handedly run your business from anywhere in the world right from your phone. All the reports you receive will help you to understand if there is any misappropriation going behind you in your restaurant. You must always use a restaurant POS that is flexible enough, and the new technological innovations can be integrated easily. This will ensure that your restaurant is updated and is not running behind your competitors in the market. A restaurant POS system that will make your restaurant operations seamless, it shows that a restaurant POS is a necessary prerequisite to run a restaurant properly. Choose it right and see how it will reduce your dependency on manual labor and you can be at peace that nothing can happen at your restaurant without your knowledge.